Especially when elderly family members visit or live with you, creating an environment that they feel safe and comfortable within is imperative. However, it can often feel like in order to do this, you have to compromise on style. The bathroom can often seem like a daunting place for a more elderly or vulnerable person, with lots of potential hazards. We’ve asked the UK’s No. 1 showering manufacturer—Mira Showers—to provide us with some hints and tips in creating a safe and stylish bathroom for everyone. 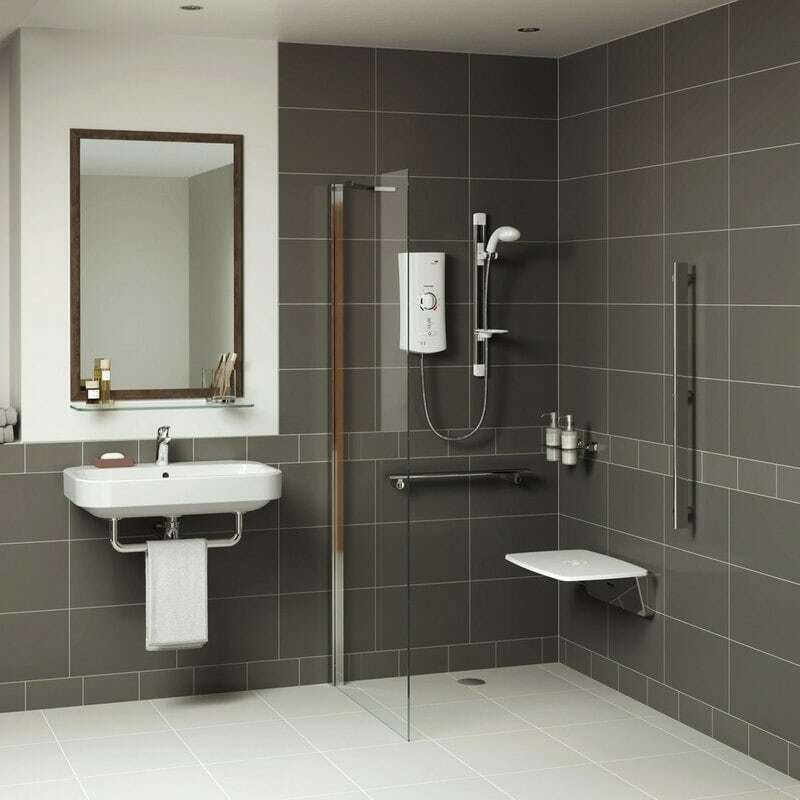 Fluctuating water temperatures and complicated shower configurations aren't helpful when creating an accessible bathroom environment. Ensure that you choose an easy-to-use shower, with simple controls. The Mira Mode digital shower features an ergonomically designed controller, with simple push button control making it easy to use even if you struggle with dexterity. For safer showering, the clever digital technology within the valve enables ultimate precise temperature control—to within a degree. This innovative product comes with a free app for your smartphone which allows you to switch the Mira Mode on/off, set the maximum temperature and shower duration along with additional features if you opt for the Mira Mode with Bathfill. 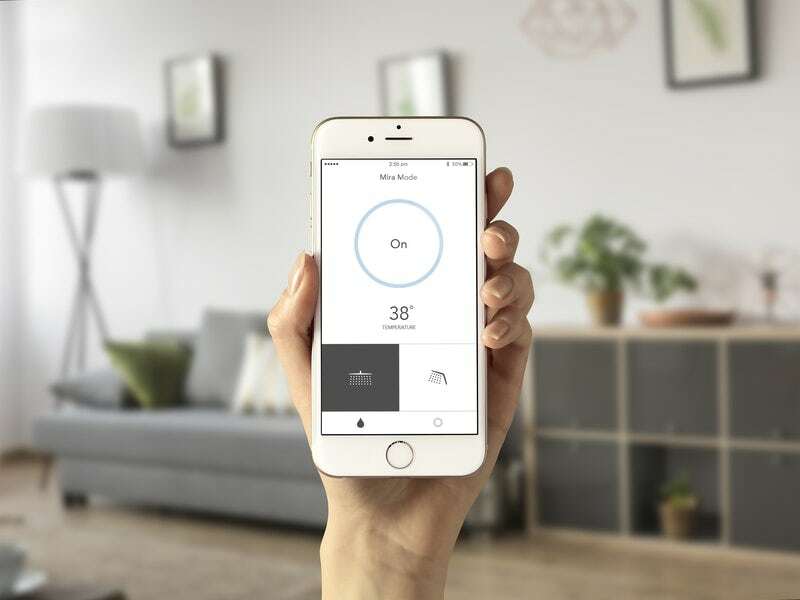 Setting the maximum temperature via the app is great if you have children; no matter how much they alter the temperature whilst in the shower, it won’t go above the maximum setting. There is also an additional remote control that enables you to switch the shower on/off from outside the showering area—this means the shower will have reached the desired temperature before you step in. Just wait for the LED lights on the control to have stopped flashing and remain static, and your perfect showering experience awaits. Mira Mode features the award-winning Mira Switch hand shower, with 4 unique spray modes. The Soothe spray mode is dermatologically accredited for sensitive skin by the Skin Health Alliance, making it perfect for all the family. Getting older often means that getting in and out of the bath becomes more challenging and daunting. Considering removing your bath in replacements of a shower tray or divider panel directly onto the tiled floor. The Mira Leap divider panel is a great option to create a minimalist, wet room look. The patented Mira CleanCoat™ technology which is administered to the glass as standard, keeps your shower enclosure looking as good as the day you bought it. This may not be a viable option if you have younger children or enjoy a long, hot soak. When it comes to choosing your shower tray, ensure that you opt for an anti-slip finish. This helps to prevent any slips or falls within the shower area, for both the young and old family members. However, choosing an anti-slip tray doesn’t mean compromising on style. The Mira Flight Safe shower tray range is a super slim 40mm deep, providing a clean and minimalist look. Made from acrylic-capped resin stone, Mira Flight safe shower trays are built to last and are scratch, chip and discolouration resistant. This clever shower tray range was awarded the Queen’s Award for Enterprise: Innovation for its anti-slip properties, which are administered to the entirety of the shower tray unlike similar products and exceed industry standards in safety. Coated in the clever BioCote® technology which reduces mould and bacteria growth by up to 99.9%, Mira Flight Safe trays are designed to stay clean. Click on any of the links below and discover bathroom ideas and advice for the whole family.